All the charts, tables, and graphs in the world won’t help your business if your leaders can’t make sense of them! Syntelli’s data visualization services and data reporting solutions can help you achieve clean, concise visuals yielding quicker insights and more impactful reports. Merely having a dashboard or report, like the data itself, isn’t enough. It needs to be intuitive and simple, yet provide critical, actionable information. We don’t simply hand you a canned report with a few generic KPIs and walk away. Instead, we’ll collaborate with you to design the data reporting solutions that meet your exact requirements and can help drive the business decisions you have to make. Syntelli’s consultants will also go above and beyond to assist you with exploring and understanding your data. If you can’t tell the story behind your data, your company is missing a critical element of the analytics process. We can also help keep your data reporting and visualization caught up with the latest trends. Whether you’re looking to implement self-service analytics or go mobile with your data, we have accomplished consultants ready to help. To achieve all of this, we employ cutting edge, effective data visualization software. Primarily, we work with the powerful dashboard visualizations and BI reporting offered by the leading visual analytics providers, such as Spotfire, Tableau, QlikView, and Microsoft’s Power BI application. TIBCO Spotfire is a smart, secure, enterprise-class analytics platform that delivers AI-driven, visual, geo, and streaming analytics and is currently in use across an array of industries from shipping to hotels. Syntelli offers Spotfire Managed Support through a team of dedicated consultants that will help you leverage this powerful analytics tool. You’ll have direct access to the best Spotfire support team on the planet, and you’ll be provided the highest level of support at a fraction of the cost of our competitors! Our Managed Support service is staffed by a highly experienced, certified, and dedicated team of Spotfire analytics professionals. Our managed services are offered at a customized low subscription price, which includes support on every aspect of Spotfire; everything from upgrades and installs to the latest version to answering questions about product use and features, or even specialized training on new releases. Syntelli also offers Tableau reporting services with support for both Tableau Desktop and Tableau Server. These applications offer powerful analytics that can unlock the insights that propel your business forward. However, while Tableau is easy and intuitive to use, getting the data to be user-friendly is often challenging. This is where our trained, knowledgeable consultants can assist you in creating the most significant impact for your business. Here are just a few of the benefits we can help your organization attain when using the Tableau tool: data shaping, custom querying, custom data sources, architecting a business intelligence environment, optimizing the data, and online availability of reports. 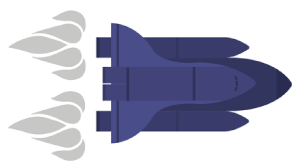 These tools are readily scalable and can help bring data reporting to your entire business. The third application that Syntelli offers managed support services for is QlikView. Our support for these guided analytics applications includes dedicated training, consulting, and implementation. QlikView’s simplicity has enabled thousands of companies worldwide to search, consolidate, and visually analyze data. Powered with automatic associations, QlikView allows for ad-hoc queries without predefined structures and hierarchies. The platform’s unrestricted analysis of data helps business users make quick, more informed, and more impactful decisions. However, there is always a point where you want to take your abilities to the next level. That is where Syntelli’s committed team of experts comes in. With hands-on success stories across numerous industries, we can assist your business in getting the most out of this application. Syntelli also offers support for Microsoft’s Power BI application. 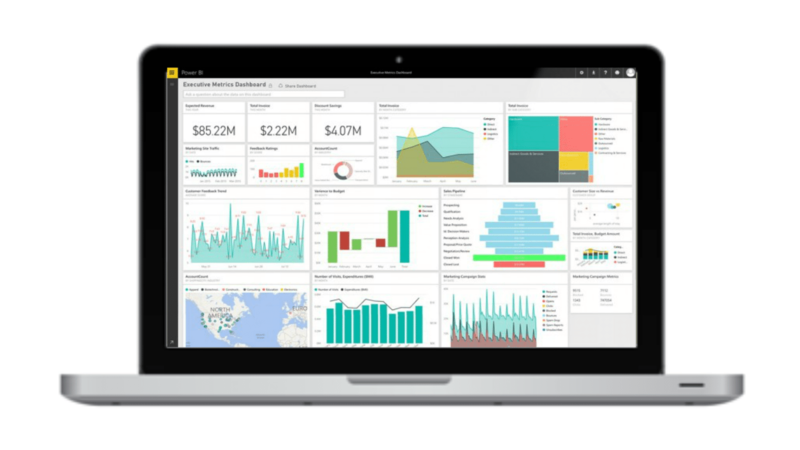 Although Power BI is one of the newest BI platforms on the market, it offers some advanced features at a competitive price! According to Microsoft, Power BI will allow you to connect to hundreds of data sources and simplify data prep while still producing beautiful reports. You will even have the ability to publish them for your entire organization to consume on the web and across mobile devices. Power BI can also scale across your enterprise, with governance and security built-in. At Syntelli, we stay on top of the rapid changes and updates to Power BI and can help you succeed in the areas of enterprise adoption, report generation, design and automation, custom visualizations, custom queries, and more. Whether seeking solutions for your analysts, end users, or IT group, Syntelli’s dedicated professionals will work closely with you to understand your needs and implement an effective solution.